Take time away from your usual responsibilities to relax, recharge and refocus at this transformational weekend retreat. Replenish your body, mind and soul with healthy eating, meditation and yoga, experiential self-reflection and informative health talks. In the peaceful and conducive environment of the Yarra Valley Living Centre, specialist facilitators, Dr Michelle Woolhouse and Caroline Hales, will gently lead you on a journey of personal-exploration, reconnection and self-empowerment, supporting you as you release the past and reframe your future. Michelle and Caroline are two women with different styles and life experiences but who have a shared passion for empowering women. Between them they blend and offer the wisdom of Western & Eastern healing philosophies, many years of professional expertise, and extensive spiritual and personal development work. Taking a week to re-connect with nature, ourselves and our community is a rarity in this modern busy world, but in many ways I hope it becomes an essential event in all our calendars. The weather was a lovely reflection on the seasons of our lives, from bitterly cold and frosty mornings, to bright sunny days, wild winds, heavy rain and a million stars at night. 12 incredible women came together from all walks of life to share a time together, learning key meditation techniques, mindful yoga, nature walks, body massages and other therapies, creative experiences and simply time to reflect on our lives lived and our future selves. Watch this short video providing you with insights to our retreats. Friday afternoon, The Yarra valley living centre saw the arrival of 25 "wise radiant" women aged between 30 and 84 years, gathering with anticipation for the weekend of wellness and rejuvenation that lie ahead. The setting was stunning, huge ancient towering gums, looking over the landscape, strong in their stillness. For 3 days we shared knowledge, a sense of community, time away and the gifts of wisdom that come from gathering women of all ages. We explored and practiced different meditation techniques, did some personal enquiry and simply took the time to let nature settle our nervous systems, rest, sleep, and eat delicious, wholesome, plant based foods. The massages and body work were amazing, the walks in the silence were a treat and the yoga and mindful movement allows sleep to easily come. 3 days later, we emerged, a more connected group, connected to ourselves, our environment and each other. What a gift it is, to take time out for a health filled weekend, learning self care, nurtured by the evidence base and practicing the skills we need to thrive in this busy world. Dr Michelle Woolhouse and Caroline Hales were thrilled by the results and inspired by how effective a weekend like this can be. So inspired that they are offering it again in August and October. Dr Michelle and Caroline have worked together for more than eight years. They are kindred souls who share a love of people, are passionate about a life well lived and are continually amazed by human resilience, spirit and inspiration. Dr Michelle Woolhouse is a general practitioner, who has worked in clinical practice for almost 20 years. 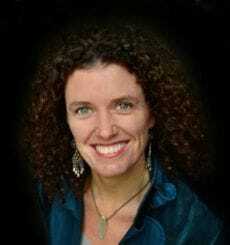 She is passionate about helping people find their own style of health and healing. She has post graduate qualifications in mind-body medicine, meditation, sound healing and nutritional and environmental medicine. Dr Michelle loves teaching people about the interconnections of being a woman and how by embracing these scientific understandings, you can find the inspiration to transform say "yes" to life and be the best you can be. Caroline Hales is an intuitive therapist, who is passionate about supporting people to find their own sense of self. Caroline incorporates meditation, reflective questioning and counselling into her one-on-one sessions. Following a car accident in 1981, she discovered meditation and yoga to help manage anxiety and panic attacks. Caroline has since studied and practiced a variety of natural therapies, meditation and personal development methods. 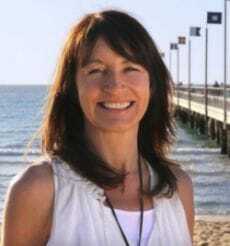 Caroline's qualifications include a Diploma of Ki Massage, Reiki, Art & Creative Expression, Cranio-Sacral Therapy, Higher Diploma in Arts in Social, Personal & Health Education, The Body Whisperer - Level One and International School of Temple Arts - Byron Bay and Melbourne. within a wonderful cocoon of sisterhood." "The weekend was full of good Company, lovely food and then especially the very informative information on Meditation and how it relieves stress. How to use this tool in everyday live and how best to get the most out of every moment. Michelle and yourself are wonderful in your caring attitude and look forward to any other upcoming events you may have." "A heart felt thank-you to you for providing such a peaceful and safe environment and leading all of us so gently. None of us would have been able to achieve what we did without you." "The quiet space established through an environment that supports both body, mind and soul. Perfect." "All activities helped me face myself, especially the eye to eye, that was amazing. You ladies are amazing." "Beautiful facilitators, I have been reminded of the strength of mediation remembering to breath and be gentle with myself." "Meeting like-minded women and being able to share the wisdom of these beautiful facilitators." "Coming together with as a group of women who showed empathy, compassion and support to each other. Learning how to use meditation in various forms that can be included in everyday life." "Rediscovering meditation and the simplicity of living a calmer life." " There is nothing I would change, for me it was a 10/10 experience"